In this five-part series, Andrew addresses the impact this has in our lives. 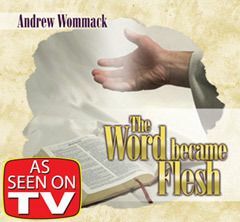 He explains how God Himself is limited by His own words; the difference between Gods responsibility and ours; the role the devil plays, if any; the power God has given to us; how to conceive a miracle; and more. 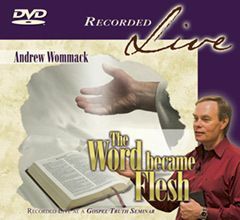 These messages, recorded live at a recent Gospel Truth Seminar, will change your life. In this teaching, Andrew confronts the wrong teaching on the sovereignty of God, which is commonly believed in the Church today. He explains what Romans 8:28 is really talking about and how it applies to believers, as well as discussing the proper use of anger in spiritual warfare. He further discusses how damaging this wrong teaching about God being in control of every little thing is to the world. Andrew brings a much needed teaching on Satan: Who is he, really? Where did he come from? We go back to the Garden, where Andrew shows that Satan did not exist when Adam and Eve were created. Lucifer, created by God to serve humans, living in the Garden as the "Angel that covereth", and it was Man giving his authority to him that created Satan. 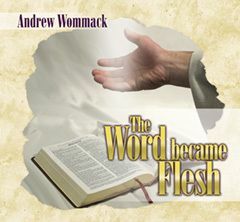 This teaching explains the power of words all the way back to the beginning, where God used words to created everything in this universe. Words have the power of life or death — it's one or the other and we need to believe in and respect that power for it to work positively in our lives. Words had to be spoken, prophetically, over 4,000 years for Jesus to be created, and Mary had to receive those words, which became the conception of Christ inside her. Words are seeds that must be conceived in our "spiritual womb". This teaching continues with power of words and shows how they affect our brain, our bodies, and the world around us. Jesus cursed the fig tree and then taught his disciples the principle of "speaking to your mountain". In essence, we must command things in our lives using our God-given authority rather than begging God to do what He's given us the power to do. Satan was defeated by Jesus. When this happened, Satan was "spoiled", stripped of his power and ability to overcome us, and led triumphantly for the world to see as a defeated foe. Andrew explains exactly what all of this means, while showing why it is important to recognize and overcome passivity towards Satan and evil in our lives.